There are a few lovely projects in the pipeline, so I thought I’d have a quick round-up and let you know what’s coming soon! 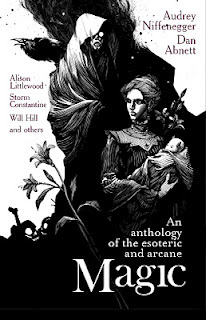 First, I was delighted to be asked to take part in a new anthology from Solaris, called Magic, edited by Jonathan Oliver. It also contains stories by Audrey Niffenegger, author of The Time Traveller’s Wife, Dan Abnett, Christopher Fowler, Storm Constantine and Rob Shearman, among others. 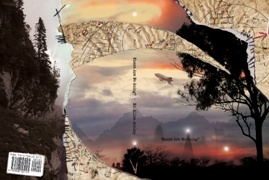 The publication date is November 2012. I’ve also penned a steampunk story for an anthology from Snowbooks, called Resurrection Engines: 16 Tales of Extraordinary Scientific Romance, edited by Scott Harrison. It’ll be released in June. Next up – my first ever translation! My short story About the Dark, first published in Black Static magazine, is being translated into French for publication in Tenebres 2012. I’m thrilled that another Black Static story, Black Feathers, has been selected for Ellen Datlow’s annual round-up, Best Horror of the Year volume 4. A short story called Soul Food is going to appear in an anthology of alternative zombie tales called Alt.Zombie, from Hersham, who published the Fogbound From Five anthology. Alt.Zombie will be edited by Peter Mark May. I’ll also be in the anthology simply called BOOK, coming soon from the Inkermen. I’ve seen the signing pages for the special edition, which look very intriguing indeed! The publication date is running a little behind that stated in the link. Lastly but not leastly, but certainly most recently, my story The Swarm was accepted this morning for the forthcoming Screaming Book of Horror, an anthology from Screaming Dreams edited by Johnny Mains. I’m looking forward to them all, and of course I’m working hard on the next novel!